The best Account Executives I’ve worked with are great at sussing out project context to understand the project opportunities and risks, and to look for future opportunities. Ask them questions about the following if they aren’t discussed in your initial meeting or meetings. Minimize risk to existing business, operations, ways of interacting, etc. Other. My team once designed an app whose goal was to attract funding for another app; that was the business case. Which project goal is most important: budget, timeline, or “quality”? The client has to pick one. Your project manager will be managing this. Projects that cannot be successfully operationalized will look pretty for about a month, and then quickly become stale, ugly and often broken. How is this project going to operationalized? Is there a CMS in place to support it? Is there staff to run it? What are their skills? Are they going to get training? Has a product owner been named? What about Customer Support? What exists that this product can piggyback on? If it’s a product, is it going to be packaged with another product? How are the two connected for users? Most organizations have a prioritized project portfolio for the year. Know where your project falls in the overall list of priorities. High priority projects will have many eyes on them and hitting project goals is very important. On the flip side, the budget is not likely to be pulled. Is the start of this project, end, any sub-component dependent on other projects? If yes, have they started? What are the risks involved in those projects? Can this project indirectly improve those projects or minimize their risks? Will this project be a dependency governing the start or end of any other projects? What is the company trying to achieve this year? Read the annual report, specifically, the President’s message. Those messages are carefully crafted for shareholders and customers to communicate the highest goals, and how the organization is going to deal with outside influences: political, economic, social and technology environments. What is the top-level business goal? You can’t assume that your client is undertaking the project because they want solely to create the best experience for their customers or change the world. The goal is most likely financial: make more money, minimize losses, save money, or minimize increases in expenses. 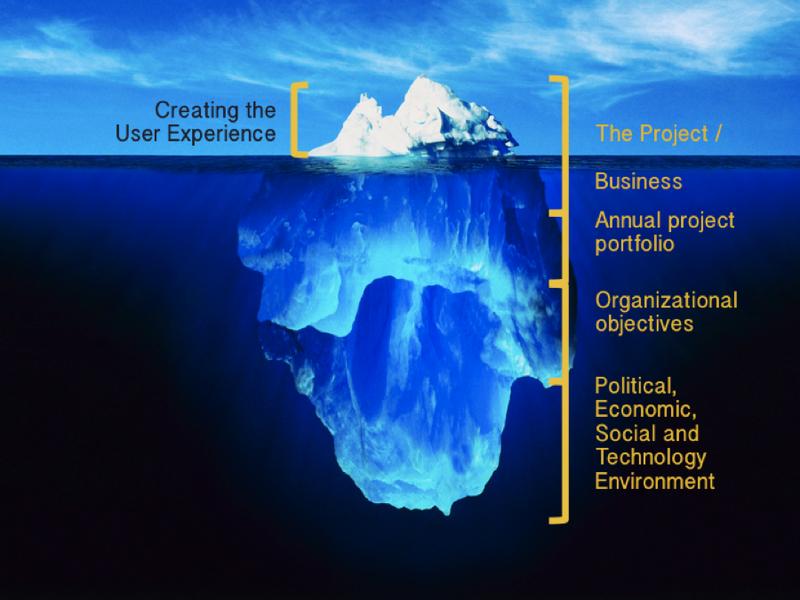 You will need to understand and show how creating a great user experience contributes to achieving business goals. Sometimes clients are unable to make that connection. You may need to make it for them. As a UX designer, you do not need to know all the ins and outs of your client’s business, but you should know the basics and why the project exists. I have had people show up for UX job interviews for a role with a digital media company and suggest we remove the ads to improve the experience, because they hadn’t done the research to know that ads are how media sites make a good part of their revenue. Needless to say, I didn’t invite them back.